Forget space warfare, jet packs, and crazy gun camos and give a warm welcome to Ubisoft's newest title, For Honor. 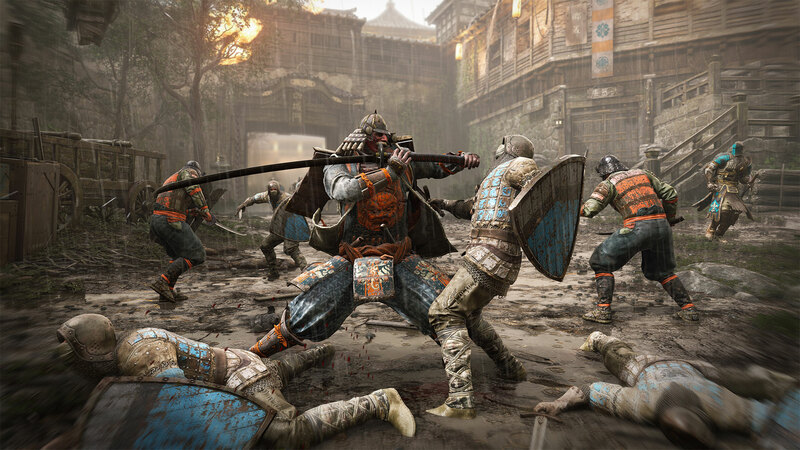 Currently in its beta stage, For Honor is a medieval based fighting game geared towards bringing players back to basics with insane sword fights, axe battles, and awesome physical combat. 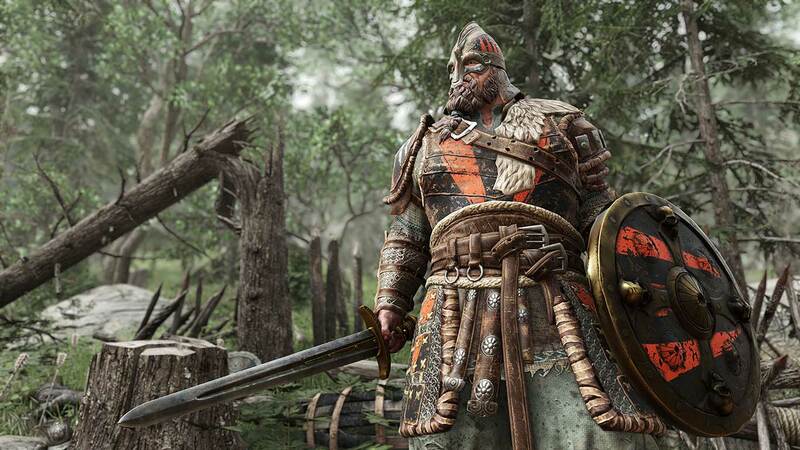 If you’re looking to get ahead fast in For Honor, picking your faction is one of the most important and crucial parts of becoming a For Honor expert. So without further a do, here's a few tips and tricks that might help you along the way in becoming the ultimate For Honor player! Upon playing For Honor for the first time, you’ll be presented with the ability to choose which faction you want to fight for. As on now there are 3 factions, the Knights, the Vikings, and the Samurais, each with their own characters, weapons and fighting antics. Every faction has 4 playable characters, each one differing in fighting style and strengths and weaknesses. At the end of the day, which faction is best all depends on personal preference, but we’ll try our best to break down each class and hopefully, narrow down your decision to which faction, and fighter, is best for you! The Wardens – The Wardens characters base their fighting style off a balance of offense and defense. Wardens are considered one of the easiest characters to play as and as especially user-friendly for new and inexperienced players. They have a special shoulder-bash attack that is unlocked manually in-game and can easily adapt to any players fighting choices, whether it be focusing on defense, or using their two-handed long sword to slash away their foes. The Conquerors – The conqueror characters focus heavily on defensive combat. Fighters are equipped with heavy armor, including a bulky shield, and wipe out competition with their footman’s flail. Conquerors also have some unlockable shield based attacks and are rated as medium difficulty in gameplay dynamics. An auto blocking defense mode allows for players to give their undivided attention to timing their strikes and barreling through enemies. The Peacekeepers – Imagine playing as Ezio from Assassin’s Creed, but in a medieval time period, that is essentially what you have with the peacekeepers character. Players adapt to use the Peacekeeper’s stealth, speed, and maneuverability to prey on unsuspecting enemies. Although range is limited, players have the ability to inflict bleed damage on enemies or counter attacks and quickly escape combat with ease. Rated as a medium playstyle difficulty, the Peackeepers are perfect for stealth enthusiasts. The Lawbringers - Finally, we have the Lawbringers, the powerhouses of the Knights faction. Lawbringers bring a strong and effective combat style geared towards the more experienced players with their hard playstyle difficulty. Perfect for knocking enemies off balance and disorienting admiral foes with ease, the Lawbringers are without a doubt the heavy hitters for the Knights. Although a difficult character to play, once mastered, the Lawbringers are extremely effective in combat. 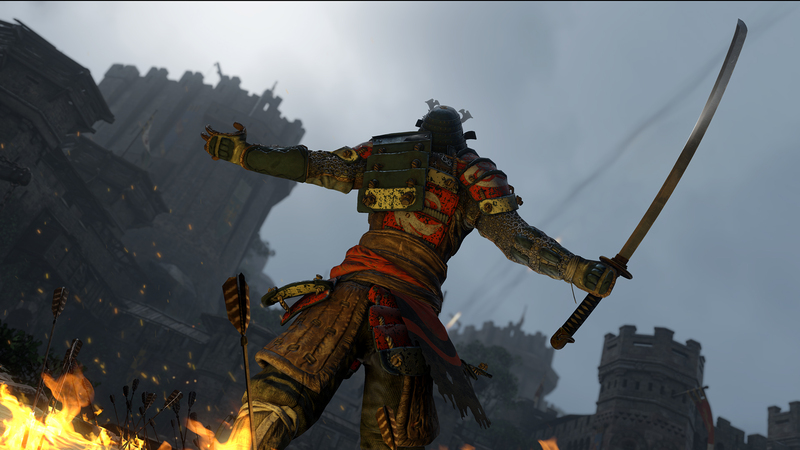 The Kensei – A medium difficulty playstyle rating might drive some users away from entering battle as a Kensei fighter, but for those who dare fight as this character are in for a fun, yet challenging fight. Slow, but strong fighters, the Kensei have an extended melee range compared to other characters and are able to chain together attacks making for an interesting, yet effective combat style. The Shugoki – As Ubisoft puts it, the Shugoki are the “disruptor tanks” of the battlefield. 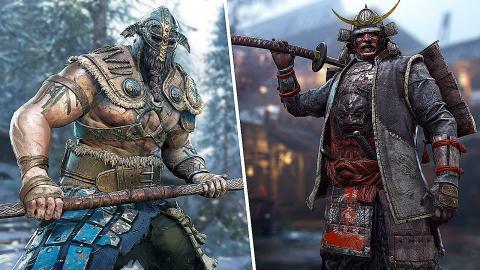 With a high level of health, players are able to absorb blow and blow without worry of defeat, but don’t let that fool you, the Shugoki are not immortal. Slow on both offensive and defensive sides, the Shugoki are perfect for players wanting to progress their attack strategy without worrying about planning defensive maneuvers. Rated as an easy difficulty character, expect to encounter plenty of these guys while in battle. The Orochi – One of the hardest to play characters you will encounter in For Honor is the Orochi, an agile, but difficult character to master. Timing is a must when playing as an Orochi, for offensive strikes and assassinations, as well as defensive counters. Their quick dodging ability allows for players to “dance” around enemies and attack repetitively. The Nobushi – The Nobushi is another difficult character to use in combat, but can be useful when played right. Nobushi players are able to control zone’s easily thoughout combat and have the longest attack range of any playable character giving those objective addicts out there the perfect character to use when going for the win. The Raiders – Crushing the competition with ease thanks to their handy dane axe, the Raiders are a simple, but effective character to play as. Rated as an easy character to use, don’t be shocked if you’re running into Raiders left and right during battle. Their strong offensive attacks are able to disable enemies and special zone, chain, and throwing attacks are unlockable throughout playing. The Warlords – The Warlords are rated as a medium difficulty character, but don’t let that deter you from hopping into combat with your trusty sword and shield. Balanced between offensive and defensive strategies, the Warlord characters are great for trading blows with enemies or performing strong counter-attacks, oh and one of their special abilities is a headbutt. Enough said. The Berserkers – The Berserkers are by all means not an easy character to tame, but players who are skilled enough to bring the character into battle will be a forced to be reckoned with. Infinite chain attacks allow for players to complete obliterate foes and some attacks even allow for multi-target combat. Along with a great deflect ability; the Berserks have the perfect amount of defense with a strong and heavy offense to intimidate and enemy around. The Valkyries – Another medium difficulty character, the Valkyries are versatile and adaptable. With a fantastic takedown ability, the Valkyrie character works perfect for those intermediate players looking to make a name for themselves on the battlefield. The Valkyries’ arsenal comes equipped with a shield and spear, the perfect combo for keeping enemies on their heels and unprepared for what move might come next. There you have it, all factions and characters playable in Ubisoft’s For Honor. What character will you be jumping into battle with? Let us know down in the comments below!